Even though they are still learning pre-reading skills, preschoolers love doing activities with an alphabet theme. The following letter d activities will help young children develop phonemic awareness. Preschoolers will learn about words that begin with the letter d by making paper plate daisies, desert dioramas and by eating dairy themed snacks. Making daisies from paper plates is activity that can be incorporated into an alphabet lesson or a flower unit. Preparation: Cut the yellow construction paper into circles with three inch diameters. Cut the green construction paper into long, narrow strips. Give each preschooler a paper plate, a yellow circle, a green strip, and a black marker. 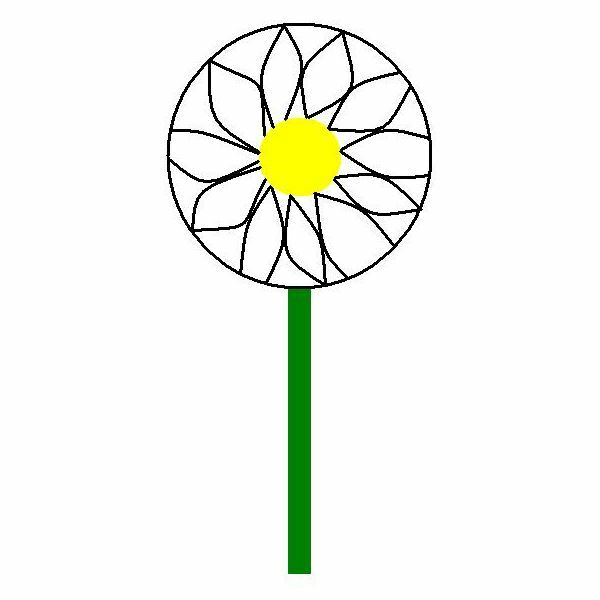 Help the children glue the yellow circle onto the center of the paper plate to form the center of the flower and the green strip onto the back to form the stem. Use the black marker to draw petals on the plate around the yellow center. Creating these dioramas is a fun letter d activity that could be incorporated into a lesson about the desert. Preparation: Repair any of the boxes that have any tears or small holes through which sand could escape. Give each preschooler an empty box with a lid. Help each child pour no more than half an inch of sand in the box of the box. Allow the students to select rocks, miniature cacti, and other desert features to place in their desert dioramas. While the preschoolers are creating their dioramas, talk about the features of the desert such as what types of plants and animals live in a desert. Optional: Talk about other types of deserts that are not sandy such as frozen deserts. Serving dairy products is a fun activity that incorporates the letter d into snack time. Preparation: Cut the cheeses into pieces small enough to avoid choking. Divide the yogurts, milks, and other dairy products into smaller containers. Allow the preschoolers to mix and match the dairy products during snack time. Encourage the children to try new foods. Note: Always remember to check with parents about food allergies or other dietary restrictions before serving any snack in the classroom. Preschool students love making crafts and doing other activities with an alphabet theme. These three activities are great for the classroom and introduce young children to words that begin with the letter d like daisy, desert, diorama, and dairy.